← Another Richard Armitage Spooks Interview! 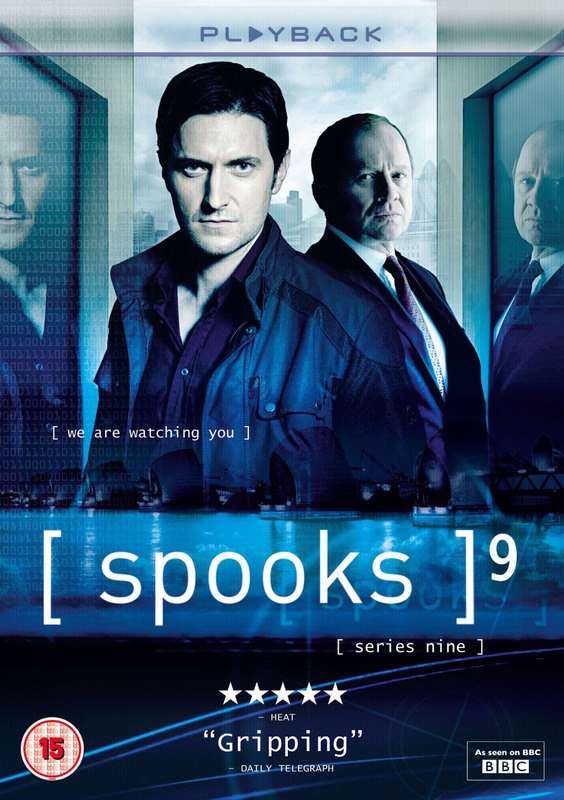 Spooks 9 is now out on DVD in the UK which is why this interview appeared a couple of days ago. Someone posted it on YouTube and I’ve made it available for a high quality download. Here are the video and my transcription below. Note: the transcription will make it easier for you to translate this interview. Google Translate is my favorite. Interviewer: So here you are, sir. RA: Here we are in my trailer. Interviewer: And a beautiful trailer it is as well. RA: It’s a bit of a squeeze. Interviewer: It’s I’m sure functional. How many weeks has this been home for you? RA: Well I’ve been in this trailer for about 26…23…26 weeks now…since the end of February. I haven’t actually left the trailer. I come here after wrap and go to sleep. Interviewer: Of course two years now on Spooks. Aren’t you two series in now? RA: This is my third. Interviewer: Third one now? Wow. Interviewer: Very much feet under the table. Interviewer: Did you come in thinking three series? Do you kind of re-approach whether you want to be Lucas again each time around? RA: Yeah, I mean even from the beginning, even though you come in usually with a standard 3-year contract, especially with Spooks you can go after the first year. There’s no guarantee you’ll be here for three years. And so the survival into the next series is always a bonus and as we’re all going into the end of this series we still don’t quite know. I just read episode 8 and you really don’t know whether I’m going to be back for series 10. We don’t know if there will be a series 10. But it’s quite nice to work like that because as much as you’re kind of playing your character, you’re still having to fight for survival all the time and you’ve got to really reinvent the character each year and dig deeper. RA: This show forces you to be out of control. But I quite like it because I suspect that’s what it must be like really doing this. Because situations change second to second and you have to adapt and you can’t decide that you were going to go one way. You have to move with what’s happening and I quite like that slightly panicky energy there you have to work on. And the fact is, we’re working in a world of covert operations and I always see that when they deliver scripts to you it’s covert. They’re sort of saying, “Here’s a little bit of the script. Go on then, you can have another page.” And you’re finding out slowly what the episode’s about. And then it all changes. But it’s nice; it’s exciting. This entry was posted in Interviews and tagged lucas north, richard armitage, spooks. Bookmark the permalink. He does look very comfortable, I agree. Wish it was longer, but we do have the 10 minute interview which is really enjoyable too. Thanks for your comment, Summer!